In this unit, we will learn about the subjective nature of history. We will examine a number of case studies from ancient, medieval and modern history, learning about primary and secondary historical evidence. Then, we will apply ourselves to an investigation of personal history. In this first lesson, we will define the subject of history and its two major tools of investigation: primary and secondary sources. 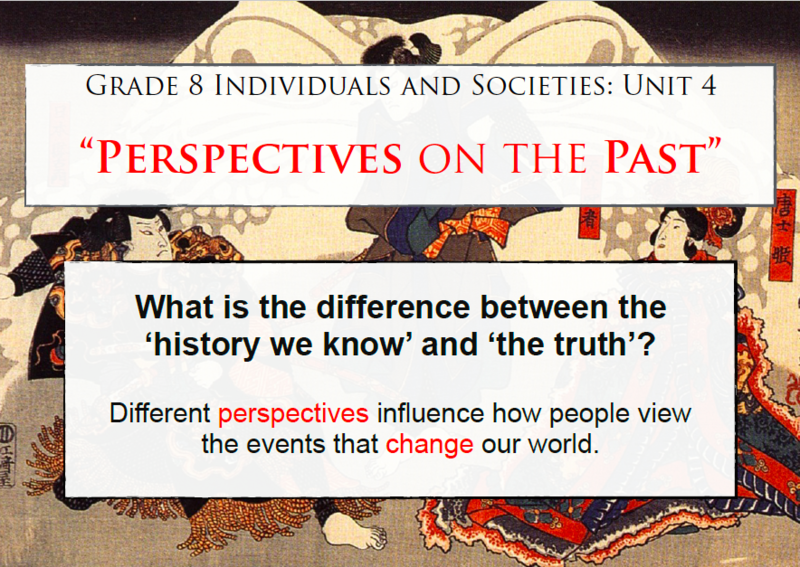 We will also discuss the nature of ‘truth’ and the role perspective has in influencing our views on major historical events. Today we become WWI historians! We have been hired to find out how and why someone’s relative, who fell on a battlefield in WWI, was killed. Through this activity, we will learn about the subjective nature of history and learn important lessons for evaluating sources using the OPVL method. In this session, we will complete our final research task. We will frequently return here throughout the course of the unit.